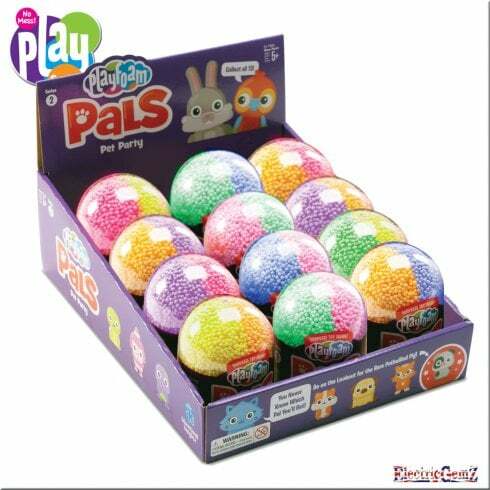 With this fun Learning Resources Playfoam Pals Pet Party 12-Pack, young learners dig into the Playfoam to discover their new pet friends hidden inside! Suitable for ages 5+, there are 38 Playfoam Pals to collect, with super-rare endangered critters to find too! Each animal has a pop-apart body and head for mixing and matching and creating brand new species. Once children have discovered their Playfoam Pal, they can use the Playfoam to build perches, nests, beds and more for their new pet! Playfoam is a completely mess-free creative play resource that is great for sensory play and helps develop fine motor skills for little hands. The non-toxic formula makes this best selling Playfoam great for safe creative play. It doesn't stick to hands, clothes or carpet, only to itself! What's even better is Playfoam never dries out, so children can display their masterpieces rather than having to put it all back in the pod!